When it comes to AdWords, there’s a vast amount of written material both online and in book form that aims to educate you on best practices. You can read about keywords, offers, ad groupings and content networks until your head is ready to explode. But which portion of this mammoth mountain of AdWords advice is really worth trusting, and where do you start? In order to understand the basics of AdWords, you’re best off going straight to the source – Google. Launch into the mayhem at Google AdWords Support and Google AdWords Learning. How would you like to get advice from someone who actually works on the Google Ads team? If you’re an AdWords customer, you can tap into the wisdom of a member of the AdWords staff. It’s one of the best-kept AdWords optimization secrets. 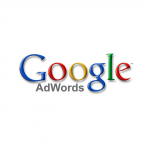 Talk with the Google Ads team from 9:00 a.m. – 8:00 p.m. EST, Monday through Friday at 1-866-2GOOGLE (1-866-246-6453). Alternatively, you can chat, email and ask other community experts if that’s not enough. For an easy-to-digest encyclopedic insight into AdWords and web marketing metrics in general, KissMetrics provides a bevy of “what-to-do” and “what-not-to-do” information that supports the basic knowledge you’ll get from Google itself. Two exceedingly good articles for both newbies and web marketing masters are 10 Common AdWords Mistakes and How to Create a Profitable Google AdWords Campaign (from Scratch). If you’d rather hire a professional to manage your campaigns, scout for help using Google’s “Partner” marketplace. There you can locate firms and individuals who have passed Google-administered certification exams, and pursued Google-led advanced training in AdWords. Remember, Google Adwords is hardly a set-it-and-forget-it tool. It is a living, breathing extension of your marketing budget, and if you don’t manage it well, you’ll be gambling with profits. So protect those assets and either learn how to do it well, or hire a professional to do it for you. In the end, AdWords can be a wonderful supplemental lead generation tool – just remember to review, and review often!